In my U.S. Passport, it states that it is valid for 10 years after its issue date. In practice, however, I found out that that’s not actually true (as shown by the following “adventure”). It was the summer of 2011. My ‘Norway house’ had been completed, and had sat empty for one year. They had constructed it with wood siding that had a layer of primer paint, but it desperately needed to have at least a full coat of paint on it as well. I had received a couple of bids from professional painters in the area, and – as is often the case inNorway – their prices seemed to be quite high (the prices for many goods and services inNorwayare relatively high – when compared to other countries – but that’s a subject for a different time). For my needed house painting job, I came up with an idea. I had a couple of family members who had experience painting house exteriors: one of my sisters and one of my sons. I had the ‘clever’ idea to pay for and/or subsidize their airfares to Norway, in return for a couple of days’ labor helping to paint my house. The cost of their airline tickets would be cheaper than the bids I had received from the commercial painters, and they (and I) would enjoy a vacation together. After careful planning and organization (trying to arrange days off, vacation schedules, etc. ), we settled on the last couple of weeks in late July and the first week in August. Because of different scheduling problems, I was to go first, with my son and sister arriving later (on different days). However, there would be enough overlap in our schedules that there was a good block of time when all three of us would be there together. I purchased the tickets, and all was well (or so I thought). I, my sister, and my son already had our passports, so that was not a problem. My passport expired in late September, so I thought that I would just renew it after my return. No problem. Then, within couple of weeks before our trip, my son told me that he had just been informed that his application for a promotion at his workplace was accepted, and that he would need to begin his new supervisory duties on August 1. He thus needed to use those last weeks in July to train and prepare for his new position. He had to cancel his vacation; he couldn’t go. That put a serious dent in my plans, but my sister informed me that we two could do the work – it would just take more time. OK, I thought. Let’s go for it. The day of my departure finally arrived. I went to the airport in Boise and checked in. They checked my bag all the way through to Norway, and it disappeared through the little doorway on the conveyor belt. They looked at my passport. No problem. I went through security and waited at the gate. My routing was from Boise to Portland to Amsterdam to Norway. After arrival inPortland, I went to the appropriate gate to board the Portland to Amsterdam flight. When the boarding process began, they asked for passports again. The woman at the ticket counter noticed the expiration date of my passport: September 20. The woman ran her fingers rapidly over her keyboard, concentrating on the computer screen. “Norway only requires that your passport be valid for the period of your stay,” she said. I felt relieved, and expected to join the others who were continuing to board the plane. The ticket counter woman, however, kept typing into her computer. “They don’t know that,” she replied. “But I’m going to Norway, and they said it’s OK,” I said, exasperatedly. I highly doubted that this would happen. I have known cases where people who were required to have transit visas to change planes in Amsterdam (but didn’t have them) were not deported – they were escorted to their next plane, however, to make sure they boarded it, but they were not sent back to their originating country. She also stated that they – the airline – would be fined several thousand dollars if I was allowed to board with my soon-to-be-expiring passport. Anyway, the end result was that I was denied boarding on that plane. The flight was delayed as they searched for my checked bag (apparently, all bags on a plane must be attached to a boarded passenger). They asked me the color. “Black,” I said. Then I remembered that it was a purple bag, but I didn’t say anything. I figured that the less I said at that point, the better. Besides, let them look through all the bags, I thought. While waiting for my luggage, I telephoned my brother in Norway, explaining my situation and that I would not be arriving as planned. I told him that I thought that there would be no problem in Amsterdam, if they would only let me get there. After eventually receiving my bag, my next problem was returning to Boise. The airline clerk told me that the ticket counter people in Boise should have caught the problem with the passport, and so she was going to try to get me back to Boise without having me purchase a separate return ticket. Eventually, this was arranged, and I came back home. I then called my sister, and told her my situation. She was incredulous. The next couple of days, I debated what to do. I finally decided to try for my trip anyway. I went to the passport office in my town, obtained a new application, and sent it by overnight delivery. I paid the extra money requested for priority handling and for return by express mail. In about 10 days, I had my new passport. I then called the airline and re-booked my flight; it had the same routing. When I appeared again at the ticket counter in Portland, there was a man there. During boarding, he asked for my passport. It had been issued approximately five days before. I almost said, "Be careful - the ink I used isn't dry yet." But I resisted the urge to try to make a joke. At that point, I didn't want to do anything that might get me to be sent back again. I briefly explained what had happened two weeks prior. He smiled, let me board the plane, and wished me a good flight. Another result of all this was that my sister was unable to reschedule her vacation and work schedules to meet the new time that I would be in Norway, so she had cancelled her trip, as well. After I arrived in Norway– and without any knowledgeable, skilled house-painting help – I ended up having the house painted by one of the contractors that I had originally received a bid from. I was not as clever as I’d hoped. The lesson I took from this little adventure is to not believe them when they say that U.S.passports are valid for ten years. When the passport is nine years old, get it renewed. Save yourself from potential problems. It was a huge step when I decided to finally apply for a residence permit to live in Norway. This was something that I had wanted for a long time, and for which I had been preparing for years. But to actually send in the application was an important, life-changing act. I had been born in Norway to Norwegian citizens, and was thus a Norwegian citizen myself at that point in time. However, my parents had become naturalized U.S. citizens several years after our immigration there, and I had then been given a Certificate of Citizenship, making me a U.S. citizen. Thus, I now needed to apply for permission to return and to live in Norway. Several months previously, I had researched online to find out what I could, and I had also been in contact with the appropriate Royal Norwegian Consulate General offices in the U.S. I explained my situation (that is, having been born in Norway, and wishing to return to live). I was told what application form to use and what was involved in the general process. This final requirement was very interesting in my case. I was required to send in copies of every page of each passport that I have held for the past three years, both the used and unused pages. 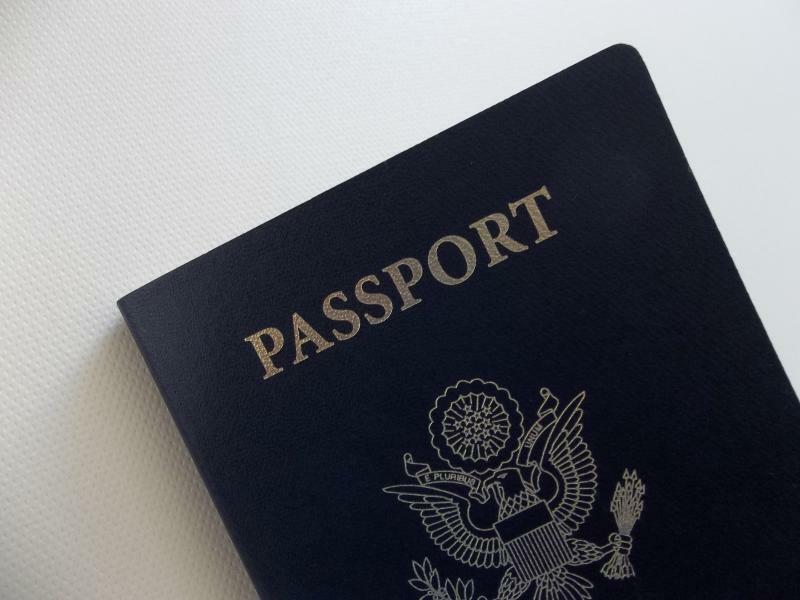 Unfortunately, I had obtained a new passport the previous year, and – when I renewed it – I had also ordered a passport that had “extra” pages (the 52-page passport). So this constituted MANY pages of copies, from two different passports. When my application was ready, it consisted of over 80 pages of forms and documents. I had also been advised that this application process will take time, and that it would typically take approximately five months to receive a response from the Norwegian Directorate of Immigration (UDI) office in Norway. Before my retirement, I worked for a school district. My school year ended at the beginning of June, so I planned on submitting the application in October of the previous year. This would give me approximately seven months before I would be able to move to Norway (in June). I hoped that I would be able to hear from UDI within that time. So, on October 20, 2011, I took the momentous step and sent in my thick application packet to the local Consulate (along with the required $500 payment). About two weeks later, I received an e-mail from my cousin’s daughter, who lives next to my Retirement Home. She was watching the house and checking the mailbox for me, until I was able to move there. She said that I had received a letter from UDI. I asked her to open the letter, and she sent me a copy of its contents via e-mail. This was an acceptance letter of my Residence Permit. It was approved! I then contacted the Consulate, and they were unaware of this acceptance – I had received this information before they did! But I didn’t understand why this acceptance was mailed to my house in Norway rather than to my U.S. address. Nevertheless, it was good news. The Consulate later received confirmation of this acceptance from UDI. I did not know why an application that was expected to take up to six months was processed within two weeks, but it was. I speculated that whoever received my application packet may have been overwhelmed at the prospect of having to go through 80+ pages, and just approved it (more likely, however, is that it was approved because I had provided proof that my parents were Norwegian when I was born there). This quick approval, however, did present a new problem of its own. Once approved, this permission is valid for six months. If you do not arrive in Norway within that time, the permission is withdrawn and you must submit a new application for a residence permit if you still want to live in Norway. Since I had ‘cleverly’ timed my application so far in advance, this permission was now scheduled to expire in May, 2012 – BEFORE the end of school year. Now I was faced with a new dilemma: do I retire earlier than expected (before the end of the school year) so that I can make my move there within the six-month time limit, or do I make a new application? I wrote to the Consulate again, explaining my situation. I soon received a reply from the UDI office (through the Consulate) that I was granted an extension until June 20, 2012, to take advantage of this approval. I arrived in Norway on June 7, and all went well. Upon receiving permission to live and/or work in Norway, you are given a letter from the Norwegian Directorate of Immigration (UDI) that informs you that you must register with the local police station within a week of your arrival. You are also required to register with the Population Registrar within about a week (this is part of the national Tax Office). These registrations put you into their system as a legal resident. When I arrived in Norway, I dutifully registered with the police. They took my thumbprint and took my picture. They then told me that my Residence Permit would be mailed to me. Afterwards, I went to the Population Registrar. There, I was asked to show them my Residence Permit. Previously, Residence Permits were stamped into the person’s passport, but now they are wallet-sized plastic cards. I explained that I hadn’t received the Residence Permit yet, and I was told to come back when it arrived. Happily, it arrived in a couple of days, and so I returned to the Population Registrar’s office. I could tell by her accent that the person helping me in the Registrar’s office was either Russian or Ukrainian. Although she also spoke Norwegian, her English speaking skills were limited (about as limited as my Norwegian speaking skills). Therefore, our ability to communicate with each other was limited, but we did our best. During this registration process, I was asked to show proof that I have housing in Norway – where I lived. I gave her my address, and she asked to see my contract. I didn’t understand at first. What contract? Then it connected with me; she was asking to see my Housing contract or Rental contract. “You own the house?” she asked. “You own the house?” she asked again, this time emphasizing the word, You. “Ah, OK,” she said, and entered the appropriate information into the computer. She could relate to that. The original Residence Permit that is issued is valid for one year. Then, it has to be renewed if you want to stay in Norway. The application for the renewal can be made as early as three months before the permit expires, and you are advised to complete the application process before at least one month prior to its expiration date. If you let the permit expire before you apply for a new one, this can lead to major difficulties, including possibly having your permission to stay and/or work inNorway revoked or having to go through the original application process again. My Residence Permit was set to expire on June 8, 2013, and I started my renewal application process in early April. Since the application for my original Residence Permit went through so quickly (it had been approved in less than two weeks), I thought this would be a breeze. Well, the breeze apparently wasn’t blowing in my direction this time. Today – July 1 – I just completed the application process for my first renewal, and this turned out to be its own adventure. The application for the renewal can be started on-line with the Norwegian Directorate of Immigration (UDI). First, I had a problem because I didn’t know exactly which form to use. After an e-mail exchange with UDI, I found out that my Permit was issued under the Family Immigration process. OK.
After completing and submitting the on-line application in mid-April, I paid the fee (1,100 NOK), and then I scheduled an in-person interview with the immigration office of the regional police department (in my case, Stavanger). The earliest available appointment was April 30. I took it. I took the day off from work, and rode the bus into Stavanger– about 2 ½ hours each way. After about 20 minutes in the lobby of the police station, I finally located the correct office (just in time). I spoke briefly with the woman who was there, and she looked up my file on her computer. She stared at the screen for a few minutes, and she then told me that she had to check with a supervisor and left me alone. This made me somewhat nervous – it’s usually not a good sign when someone has to check with a supervisor. After a LONG ten minutes, however, she returned and said everything was fine; all I had left to do was to sign a form. [Whew! Breathe easier…]. She said that I would receive a letter in the mail, which I should then take to my local police station, and they will then issue my new Residence Permit. [Yay! Everything’s fine!]. I returned home, expecting the letter within a few days. A week passed – no letter. Two weeks – still no letter. After four weeks had passed without the promised letter (and with the expiration date of my Residence Permit coming closer), I sent an e-mail to the immigration office in Stavanger. I wondered if perhaps the letter had gotten lost in the mail. Their reply said that I would be informed when a decision had been made on my application. That surprised me, because I thought it was a done deal. Apparently it wasn’t. [Getting nervous…] But I was told to wait, and so I did. The expiration date of my Residence Permit passed – no letter. [Anxiety level increasing…] Finally, at the end of June, the letter arrived. The application was approved! So, today I took the letter to the ‘local’ police authority, which is about 25 miles (78 km) away from my house. No problem. I got the papers together, and I also brought some extra ID photos that I happened to have (just in case). I wanted to be prepared. When I arrived, I ran into my half-brother who happened to be in the town’s shopping area, and – after a short visit – we drove together to the police station. I had been to this office twice before, and I had never had to wait for service. But this time, I opened the office door to find six people in the waiting area, each with papers and passports in their hands. [Passport? I forgot my passport!]. I couldn’t wait in such a long line because my brother had other places he needed to be. And besides, I needed to get my passport. My brother suggested I call the office to find out if my passport was required, but I said, “I’m sure I need it,” and I didn’t call. I drove the 25 miles again home (about 40 minutes), trying to decide if I should return to the police station today or wait until tomorrow. I decided to just get my passport and return; it would be the same distance to drive tomorrow as it was today, and I still had plenty of time before their office closed. Besides, I’d rather get this done and over with. Upon returning to the police station (with my passport firmly in hand), I saw several people outside the building door. They appeared to be an extended immigrant family (three men, one woman, and a baby). They were also there to meet with the police, but they said the office door inside the building was locked. They were looking at a sign in the window that gave the summer hours for that office: 8:30 am to 2:30 pm. It was only 1:10 pm. They shook their heads and left. I went in and tried the door myself. Yes, it was indeed locked. I looked through the small window in the door, and could only see the empty waiting area; the work area was beyond another door, and I could not tell if anyone was there. I should’ve waited until tomorrow, anyway, I thought. A wasted trip and a waste of time. I left and drove over to my brother’s house, about five minutes away. I had to pick up some things from him, anyway. I told my brother about my situation, and that the police office was closed when the sign said it should still be open. He said, “That’s not right,” and he offered to take me back to the police station. When we arrived, the office door was still locked. There was a sign, however, that gave a telephone number to call if there was an urgent matter that needed attention. My brother stood there and called the number. He told the person who answered that we were waiting outside the door to their office, and that it was locked when then the sign said it should be open. The office worker was surprised, and came and opened the door. The lock is electronically controlled, and the two ladies in the office didn’t understand how the door became locked. “At least I’m first in line this way,” I added. I conducted my business, and was finished within a few short minutes. The woman never asked me for my passport. I laughed, and told her that I had been there that morning, but had taken a lot of time and driven a long ways to go home to get my passport. She then said she could look at it, which she did. She checked the number with the information she already had in the computer. I think she did this so I would feel better – that getting the passport had been useful, anyway. Nice woman. Notes to self: 1) Next time, start the application process earlier (take their 3-month recommendation seriously); 2) Don’t let a locked door – during business hours – stop me; 3) Bring my passport, just in case (the first time). When moving to Norway, one thing that most people notice is the vastly differing amount of daylight that comes with the change of seasons: the long periods of daylight in the summer and the very short intervals of daylight in the winter. This is natural in a country that is bisected by the Arctic Circle; but for the rest of us who were raised in most other countries, it’s different. In the summer of 1993, I was fortunate to be able to attend a six-week program at the University of Oslo International Summer School. This is an exciting college-level program that includes over 500 students of all ages from nearly 100 different countries, studying – in English – a wide variety of subjects (I studied Special Education and Norwegian History). It runs from late June to early August each year. “Welcome to the northern latitudes!” I said. The sun had technically set, but it was still not far below the horizon, and the sky was still quite light. He explained that in his country – Nigeria – the difference in the amount of daylight between winter and summer is quite small, maybe 15 minutes or so. He further explained that once the sun sets in Nigeria, it gets dark very quickly. The Norwegian summer sun was quite a new experience for him. A couple of weeks after I arrived in Norway last year (in June), I woke up one morning to see the grey dawn that occurs just before the sun rises. My alarm clock said: 7:00. I felt like I was well-rested, and this seemed like a good time to get up. I looked out the window and saw a mist hanging above the stream that runs near my house – so tranquil and beautiful! Since I was newly retired and didn’t have a job to go to, I took my time. I leisurely showered and dressed. I made breakfast, and ate it unhurriedly. Then, when I went back to make my bed, I noticed that the alarm clock still said 7:00! I quickly discovered that I had left the clock display button in the “Alarm Set” position. I moved the button to “Clock” to discover the real time: 5:30 am! By then, I had probably been up for over an hour, so I can only guess that I originally woke up at between 4:00 and 4:30. I felt like the summer sun had said “Gotcha!” to me. I suddenly felt very tired, and I went back to bed. Several weeks ago, I read a Facebook comment from an American friend who is also a relatively recent arrival from the States. She is living with her children and her Norwegian husband in the countryside in central Norway. One day, she wrote that she had woken up to an early morning “symphony” that was put on by several different birds, including two cuckoo birds. That caught my eye, because I, too, have a cuckoo bird that occasionally serenades me as well as the other residents in this area. This is the first time I’ve heard a real cuckoo bird, and I find it fascinating how well it imitates a cuckoo clock! It’s almost irresistible and I find myself silently “counting the hours” as this bird calls out. In another vein... every so often (over the past few months), I’ve heard a somewhat strange noise when I’m in my house. This is a wood frame house with wood siding, so – at first – I dismissed these sounds as perhaps natural creaking sounds from the wood as the temperature changes. But one morning, I heard a “thump.” Then, a few seconds later, another “thump.” Then another. This was not right. I went to the living room to see a little bird (about the size of a sparrow) with grey and white markings, standing on the small ledge just outside of one of the living room windows. However, this little creature was facing the window. As I watched, this little bird flew up alongside the window, and – when it was near the top – it bumped itself into the window, as if it was trying to get in the house. It was a hard bump, and I thought it might harm itself, but it landed again on the window sill. A few seconds later, it tried this again, flying up along the window with another “thump” as it hit. Deciding to relieve this little creature from doing itself any serious harm, I knocked on the window, whereupon it flew away. Although I’d never seen such behavior before, I wouldn’t normally consider this as remarkably weird or strange. But this bird – or one or more of its friends – has been doing this several times over a period of a few months. And they do it at different windows; besides the living room window, I’ve watched as a bird has tried to enter my kitchen window as well as one of the upstairs bedroom windows – all using the same method. I don’t know why they want to come in, but it’s rather unsettling to be interrupted by the sounds of “thump, thump” every so often in an otherwise quiet house. If these birds were larger (such as crows) or if there were a LOT of them, then I would be very concerned, and I’d be looking over my shoulder to see if ﻿Alfred Hitchcock was somewhere nearby. So, I have a couple of feathered friends here: a serenading cuckoo bird and a little bird who is trying ever so hard to come into my house for a visit. They’ve returned! Or, should I say, IT returned! This past spring, the old, familiar thump-thump-thump returned. I was awakened to this sound several different mornings. This time, I knew it was birds attacking my house again (although I only saw one bird involved in this behavior). I decided to take my camera out and wait. I wanted to get proof that this bird was attacking my house. If I stood away from the window (so the bird couldn’t see me), sometimes I’d be able to see it throwing itself against the glass. I then tried to snap a picture of the event. Unfortunately, my digital camera doesn’t work like the old film-type cameras I’d used in the past. When I press the button on this camera, it seems to go through a process of measuring the distance between the camera and the object I’m filming, then it focuses itself before opening the shutter. This brief pause between pressing the button and opening the shutter made it very difficult to catch this bird in the act. However, after several attempts, I was able to catch a picture of the bird, as shown in the photo here. The aftermath of these attacks on my windows are small, thin white streaks left on the glass. Over the few days that these attacks occurred, five of my house windows showed various amounts of these white streaks, and I found them on both of the front-seat side windows of my parked car as well. I don’t know if birds have saliva glands, but – if not – then I don’t want to think what part of their anatomy could have left these signs of their visits. Norway is an environmentally-conscious country. One way in which this demonstrated is through recycling efforts. This includes the use of charging deposits for drink containers, using recycling drop-off centers, and through the separation of trash for the weekly or bi-weekly garbage pickup. Charging 'deposits' appears to be an effective way to encourage people to return recyclable items. When you buy drinks, you are charged a deposit. For smaller containers (approximately ½ liter or smaller and made of plastic, glass, or aluminum), you are charged 1 NOK per item at the point of sale (approx. 17 cents). For larger containers (such as 1 ½ liters in size), you are charged 2.50 NOK per item (approx. 42 cents). In the grocery stores here, there are machines that can be used to return the empty recyclable containers. These operate by putting the container in a hole on the machine (bottom first), which activates a small conveyor belt. The machine then analyzes the item to decide if it’s a returnable item, and then it determines its size (and therefore, the deposit value: 1 NOK or 2.50 NOK). Apparently, aluminum cans need to be not smashed or crushed in order to get a deposit credit through this machine. After you put in all of your recyclable items, you push a button, and the machine issues you a credit slip for the total value of your recyclable beverage containers. You take this slip to the checkout clerk, who can either use it as a credit toward your purchase, or give you cash. Be careful, however, as there are two buttons on this machine; one is to issue you a credit slip, and the other button is to authorize the machine to donate the value of your deposit items to a specific charity listed on the machine. There is also a somewhat similar 'deposit' system with automobiles here. If you have a car that is no longer usable or saleable (such as if your car is ‘totaled’ in an accident or has been driven into the ground and can no longer run), you would then take it (or have it towed) to a wrecking yard. Once this delivery to a wrecking yard is verified, then you are paid 2,500 NOK for it (approx. $425.00 US). This is over and above whatever the wrecking yard or automobile recycling yard has paid you for the vehicle. The use of these two ‘deposit’ methods appear to be very effective in keeping drink container litter off the roads, and you will very seldom see any wrecked or abandoned cars along the roads or in people’s yards here. In the parking lot of many grocery stores, there are large 'drop-off' collection boxes for the return and recycling of glass bottles and metal containers (‘tin’ cans). You bring these into town with you, and dump them into the boxes. Another recycling program here involves the individual home garbage collection. I don’t know if this is the same throughout the country, but in my area the garbage is collected by a private company. When I moved into my house, and registered for garbage collection services, I was given a number of plastic and paper sacks and bags in which to sort and put my household waste. First, there is a large paper bag and a small, biodegradable bag. The large bag is for “Organic Waste for Composting” (these are rough translations). This includes plants, flowers, grass, leaves, twigs, as well as food waste and some types of cardboard. The small bag is for use in the kitchen to collect food waste, which is then put into the larger sack. There are five other sacks (or bags) that is provided by the garbage collection service. One bag is for “Reading Material,” which includes newspapers, magazines, brochures, advertising, and drawing and copy paper. Another bag is for “Household Plastic.” This includes the plastic wrappings of food and items that we purchase from stores, as well as packing materials. Plastic drink or food containers (that are not part of the ‘deposits’ program described above) are included here. Plastic items themselves (such as plastic toys, for example) are not to be put into this bag. A third bag is for “Drinking Cartons,” such as milk or juice cartons or containers. The instructions on this bag tell you to rinse the cartons and flatten them before putting them into the bag. There is, however, a ‘contest’ connected to this. If you choose to participate, you are to open one empty carton, and stuff into it six other smashed cartons. If you’re able to accomplish this remarkable feat, then you write your name and telephone number on the outside of the stuffed-full carton. By doing so, you become eligible for a lottery in which you could win big money. Throughout the year, 120 prizes of 10,000 NOK are awarded (approx. $1,680), and four prizes of 100,000 NOK are awarded (approx. $16,800) for those stuffed cartons that are chosen. It appears that many schools will use this as a possible fundraiser, by having the students’ families put the name and phone number of their child’s school on the cartons that they have prepared for recycling. The fifth bag is a large, black bag labeled “Residual Waste.” This is for the general household garbage items that are not included in any of the other bags. There are exceptions, however. You are not to put into this bag – or any of the other bags – things such as electronic equipment, rechargeable batteries, items that are (or have contained) poisonous material, paint, oil, solvents, corrosive materials, etc. You also cannot throw away medicine or energy-saving light bulbs in this bag. Some of these prohibited items can be returned to the stores where they were purchased, or there are special collection programs held at different times of the year for their return. So, for the disposal (and recycling) of household waste, it can be a time-consuming job. Whenever your scheduled pick-up time comes (in some places it is weekly and in other placed bi-weekly), you need to put leaves, grass, branches, twigs, and leftover food into the large brown “Compost” paper bag, put all of your newspapers, magazines, and junk mail advertisements into the “Reading Material” bag, put plastic wrappers and packaging material into the “Plastics” bag, smash all of your empty milk and juice cartons and stuff them together into the “Drinking Cartons” bag, then wash your good, used clothing that you don’t use or need anymore and put them into the Salvation Army “Clothing Donations” bag, and then put all of the remaining household waste that you have (except the listed prohibited items) into the large “Residual Waste” bags. Finally, you put all six of these bags out on the curb in front of your house for pickup by the garbage truck. You might do what I’ve seen a couple of people here do. A few people put all of their garden clippings, leftover food, newspapers, plastic wrappings, drinking cartons, unwanted clothing, tin cans, glass bottles, and other general household waste into a single, large, black garbage bag, put it outside, and call it good. One of the reasons I enjoy living in Norway – and in this area – is its history. There have been people living in this region continuously since the last Ice Age ended with its receding glaciers that finally exposed dry land that was suitable for habitation. There is a fjord nearby that is one of my favorites: Jøssingfjord. I was very impressed with this place the first time I saw it, with one side of the fjord consisting of a huge, solid rock mountain that drops directly into the sea. When I first visited Norway, there was a narrow road that was cut into the side of that rock mountain. It was somewhat frightening at times, because – as you drove along the road – you could look out your car window and see directly down to the sea several hundred feet below (there is now a new, safer road built there that uses a tunnel which is built through part of the mountain). It wasn’t until this past summer that I found out – while talking with a local resident – that nobody lives in these two homes, and that there hasn’t been anyone living there since the early 1900s! Also, I discovered that this area is a national historical site, and tourism is encouraged! There has even been a parking area constructed nearby to facilitate the tourists. The clothes hanging on the clothesline were just a prop, placed there to give the false impression that the homes were still inhabited! I imagine that I’m probably the only person in the world who fell for this illusion. So, I finally joined in and visited this site as a tourist, and I was at last able to get a closer look at these homes that had intrigued me for all these years. I walked in, through, and around the homes and peered into their attics. I followed a path that leads from the houses along the shoreline and discovered the remains (foundations) of other homes that had previously existed in the area. I saw buckets set up to catch fresh water that had seeped through the massive rock mountain – an activity that had probably gone on for many centuries. My understanding is that this particular place – under the rock overhang – has been inhabited for thousands of years (likely since the Stone Age). It was fascinating to imagine the type of life that these people experienced and how they maintained their lives and struggled for survival. Another, more recent, historical feature of Jøssingfjord is the Altmark incident (occurring on Feb. 16, 1940), in which the British destroyer Cossack chased, ran aground, and boarded the German tanker Altmark that had nearly 300 British prisoners of war who were survivors from earlier sea battles between the two countries. The fact that this incident occurred within the waters of neutral Norway made both England and Germany doubt Norway’s ability to maintain its nuetrality in their war. Subsequently, Germany invaded Norway on April 9, 1940. There is a small monument on the shore of Jøssingfjord that commemorates this incident. Each time I travel through Jøssingfjord, I am reminded of the distinctive history of this region. About 70 - 80 meters from my house, there is a rune stone mounted in the ground. It’s tall and narrow (about 1.7 meters high), and slightly tapered at the top. The rune markings on it have been pretty much obliterated with time. However, I've been told that it had once been removed and examined by archeologists, and then returned here to its original site. I understand that they estimated its age to be about 1,000 years old, and that it was likely originally constructed to commemorate a Viking battle that occurred in this area a millennium ago. I pass by this rune stone almost daily, and I am constantly fascinated by this connection with those ancestors who lived here so long in the past. About 10 miles (16 km) from my house, there is another connection with ancient history that I finally found a few weeks ago (I had tried unsuccessfully to locate this site on one of my previous trips to Norway). This is called “Rosslandsguden” (“the Rossland god” – the area where it was found is called “Rossland”). It consists of a stone statue of a head, flanked by two large stone vessels or containers. Off to one side is a small stone structure that is described as an altar. The information sign states that these artifacts date back to the Iron Age (from approx. 500 BC to 500 AD. ), and may have been a sacrificial site to promote fertility of the land and crops, as well as to pray for peace. The speculation is that the people who lived in this area at that time may have sacrificed horses, with the blood being put into the stone vessels as part of their rites. I’ve had a couple of experiences meeting relatives here that I think are remarkable for their coincidence. When I lived in Norway temporarily (for about a year or so) in 1980-1981, I obtained employment as an overhead crane operator in one of the warehouses of a very large, nation-wide construction company. My duties were to help load and unload building materials from railroad cars and trucks. This company had thousands of employees in various locations throughout Norway – many working within the factories and warehouses, and many others working outside at the many building construction sites in the country. One day – as I was working in the crane housing high above the warehouse floor – I noticed a new person working below me on the floor; this was someone who was not part of the regular crew there. As this worker was going about his various duties, I noticed that he looked up at me fairly often while he worked. Eventually, when a break time came, I saw that this new worker started climbing the stairs and ladders that led up to the platform that allowed access to the overhead cranes. I figured he wanted to talk with me, so I moved the crane over to the access platform. This man didn’t introduce himself, but he started the conversation by saying that he heard from the other workers that I had recently come from the U.S. We talked a bit, and this man then told me that – some months previously – he had taken a rather extensive trip to America. I told him where I had come from, and he talked about the different places he had visited. He said that he had visited an uncle in Minnesota. My ears perked up, because I, also, had an uncle there. He said that he also visited two uncles in Canada. This time, I became very interested, as I, too, have two uncles in Canada – exactly in the same provinces that he named. As this man continued to talk, he gave me more clues about him and his family. Finally, I made a connection. “Are you Arvid?” I asked, interrupting him. “Yes!” he answered, quite surprised. This man – just one among the thousands of employees working for this company – was my cousin, a person whom I had never met previously face-to-face, and whom I had known up to that time only as a name. It was also remarkable that – in my time with this company – this was about the only other employee who had ever engaged in a sustained conversation with me. When I started my employment there, I knew that Arvid also work for that company, but I was told that he was one of the on-site construction crews, and he never came to this warehouse/factory. It just by happenstance that he was assigned to do some work in that factory and in my department that day, and that he decided to meet and talk with me. Another remarkable experience occurred several months ago, this during my current stay in Norway. A few months after arriving in Norway last year, a friend I made here introduced me to a small, local genealogy/history group, which I joined. These people research and follow the histories of different farms in the area, and trace the genealogy of the families who lived on and came from these farms. They then put this information together and publish it in very nice, hardcover books. I enjoy going to these monthly meetings and listening to the different histories about this area. The number of people attending usually varies between 12 to 18 people or so, with a few different faces from time to time. One evening, I saw a new person in attendance, and I ended up sitting across the table from him. This new man looked vaguely familiar to me, but I just couldn’t place him. However, he did not show any sign that he knew or recognized me at all, so I just thought I was mistaken. Surprised, we both said something like “Oh!” and we shook hands. It turned out that this was Knut, the son of one of my mother’s brothers. I had never met Knut before, but I had seen a photograph of him some time in the past; that’s why he looked familiar. Kjell knew both of us, and knew that we were related, but I doubt that he knew before that night that we had never met. Knut had heard about this history group and had decided to drive the long distance to get there that night – he lives approximately 1.5 hours or so away by car. He did not know that I had moved to Norway, and neither one of us had expected to see or meet each other that evening. Sometimes, it’s a very small world. People in Norway really enjoy – and take advantage of – their vacations and time off from work (especially if the weather is nice). They like to experience and live in ‘the Nature.’ Not all of us, however, are in a position to benefit from these opportunities. This next week, we will have a one-week break from my work when nearly all of the employees are free to do whatever they want and go wherever they want (and can afford). Some people are taking short trips to the mountains, others are traveling to visit relatives, and others are taking short vacations abroad. One colleague is taking a few extra days and traveling to Turkey during this break (many Norwegians like to travel to warmer climates when they have a chance). In my case, I had not made any travel plans and had decided to stay home. There are a number of things I needed (or wanted) to get done in the house and around the yard that’ll keep me busy. Since I live out in the country, my house has a septic tank system (instead of being connected to a municipal sewer system). This is the first time I’ve owned a house that used a septic tank. This system here is inspected three times a year by a representative of the company that manufactured this system (to monitor it and to make sure that everything is operating correctly, etc.). Well, a couple of weeks ago, their inspection revealed that the septic tank here needed to be emptied, and they recommended that it be done soon. After finding out who does this work and contacting them, I was told that they would not be able to come out to do this service until next week – during my Autumn Vacation (they also wanted me to be here for this first servicing of the system in the event of any problems that might arise). They were not able to specify a particular day next week that they will come, but they said they will contact me the day before. As I mentioned, I do have other mundane things to do/accomplish around the house. But the most ‘exciting’ thing that I will have done during my Autumn Vacation – the ‘high point’ of that week – will be to have waited for the septic tank emptying man to come and do whatever he does. My house is situated in the mountains of western Norway. It sits on a piece of land that used to be farmland, and there are farm fields next my house, down the road from my house, and across the nearby river. This is a beautiful, pastoral setting, and I often enjoy hearing the jingling of bells on the sheep as they graze in the distance. Early one morning (a couple of days ago), I was woken up by the clinging of sheep bells. That’s not an unusual thing to happen, but what was unusual was that these bells kept getting louder, and louder. In fact, they got so loud that they seemed to be just outside my bedroom window. That’s when I realized they were just outside the window (and that’s not where they were supposed to be)! That woke me up all the way! I jumped out of bed and looked out the window. I saw about a dozen sheep – about half of them with bells on their necks – heading toward my next-door neighbor’s yard and grazing on his lawn. My yard had been fenced on all sides, but the gate post for my driveway rotted away this summer and was no longer able to support the gate. The fence along the front of my house (which includes the gate) is very old – I would estimate that these fence posts have been there for at least 80 years or more. So, it was not a surprise when the post supporting the gate finally gave way. I had asked someone to give me a price estimate to remove this section of the old fence and to replace the fence and the gate, but that hadn’t been done yet, and the front of my yard was wide open to these renegade sheep. I quickly started to get dressed. I had planted four fruit trees in the yard behind my house last year, as well as this past summer, and I thought that these small, young trees were vulnerable. I had also planted three raspberry bushes back there a couple of months ago, which were doing quite well. “At least the sheep were in my neighbor’s yard - not mine,” I selfishly thought. As I was dressing, I looked out the window again to now see about half of the sheep vacating the neighbor and running past my back door and into the yard behind my house. I hurriedly finished throwing on my clothes and slipped on some shoes. I bailed out the back door to see the sheep vacating my yard and running past the front of my house and across the road. I was originally relieved that their visit to my yard was short – probably only a minute or two. The field grass in my mostly unkempt yard is rather high, and I thought that the sheep would probably enjoy munching on all that tall grass, but they apparently had other targets in mind. After I surveyed the results of their brief visit, I found that the fruit trees were spared, but all three raspberry bushes had been stripped of approximately 90% of their leaves. And on their way out of the yard, they quickly removed most of the leaves of three newly-planted currant bushes as they ran along the front of the house during their getaway. The sheep then settled themselves to munching the short grass on the neighbor’s vacation house across the road (he was not there). After a few minutes, a young woman in farm clothes arrived with a bucket of feed, which she used to entice this small flock of renegade sheep to follow her. She led the sheep across the bridge and into a field across the river, where they contentedly spent the rest of the day. They were probably plotting their next getaway, whenever the opportunity presented itself. "Dude, Norway is OK to live, but you really need money." There is truth in that statement. Costs for many products and services in Norway are very high (when viewed from the outside). Besides the high price of gasoline (which was discussed in my Gasoline post, above), I'd like to mention a few other expensive items as examples, and describe what I sometimes do to cope with these prices. One of the first 'expensive' services that I encountered in Norway was the price of a haircut. Back in Idaho, my barber had just raised her Men's Haircut price from $13 to $15 (and I usually got my hair cut every five weeks or so). When I came to Norway – and it was time for a haircut – I was very surprised to get a quote for 410 Norwegian kroner (NOK) when I made the appointment, and then the price went up to 435 NOK when I came in to get the haircut (approx. $72.50 US). That price certainly changed my tolerance level for long hair. Instead of going five weeks between haircuts like I used to, I started to look for creative ways to see how I could wait for three (or preferably four) months between cuts - although I haven't been able to go that long yet. After a while, my hair gets so long that I start tucking it behind my ears. Then I have to decide if I want the hair on the back of my head to lie under or over my shirt collar. When it gets long enough that I could put it into a pony tail, then I know it's time for a new haircut (I haven't yet let it get so long that I can start braiding it, however). And – when I do get it cut – everybody notices the difference: I get it cut almost as short as I can, so as to delay the need for the next haircut. Another technique has been finding barbers who charge less money for their services. After having received two haircuts, my original barber here in Norway closed her business. I then located another barber who charged 'only' 370 NOK. Later, I found another barber who charges 350 NOK. That's equivalent to about $58.30, which is less than the $72.50 I initially paid here, but still a whole lot more than the $15 I paid in the U.S.
Another expensive commodity here is clothing. The prices for almost all items are very high (at least compared to WalMart and KMart standards), and these price levels take some getting used to. When I have to buy some clothing in Norway, I usually take two or three steps to do this. First, I go into various stores to see what the general prices are for what I need. I don’t buy the item yet – I go home for a few days to get over the 'sticker shock.' After that, I can return to the stores again, ready to make my purchase ... At that point, I am no longer frightened by the price tags. One coping skill that I've seen being used here in Norway to deal with high prices is the use of sales, and one quickly learns to wait and watch for these events. One popular sales technique that I've seen fairly often (and in many different stores for a wide variety of products) is the "Take 3, Pay for 2" sales. These appear to be effective, and I've taken advantage of these sales myself. Most stores also mail out special sale advertisements or fliers to local residents. These can be weekly grocery store sales or monthly furniture store sale fliers. If you're careful and patient, you can pick up some nice bargains. Sometimes, store clerks are helpful in letting you know when a particular item might be coming on sale in the near future. People also watch for ‘price wars’ between gasoline stations when prices for gasoline may vary significantly. In my area, it seems that the lowest prices for gasoline usually appear on Monday mornings (and sometimes Thursday mornings, as well), so I generally wait for those times to fill up my car. Several retail store chains and gasoline stations here offer membership cards that allow for a small percentage rebate (usually 2%) for products and services purchased at their establishments (paid out once a year). Every little bit helps. I’ve also seen how Norwegians will sometimes go on shopping sprees whenever they happen to be visiting neighboring countries; they know where (and when) to take advantage of bargains. The number of ‘carry-on’ items explodes on short flights into Norway as the Norwegian passengers return with their loot. It should be kept in mind, however, that the perception of 'expensive' is relative – it depends on the amount of disposable income that a person has. Certainly, the equivalent of $9-plus for a gallon of gas, or a $12 hamburger/fries combo (without a drink) here is expensive by U.S. standards (where the current minimum wage is $7.25/hr). In Norway, the wages earned are closely matched with the prices that are paid for products and services. Although there is no 'official' or mandated minimum wage in Norway, one could say that there is a 'practical' minimum wage. I have not heard of anyone in Norway who is paid less than 175 to 200 NOK per hour (approx. $29 to $33 per hour), and most people here are paid much more than this. These wage vs. price levels between the U.S. and Norway seem to be matched in some respects. For example, a $15 haircut in the U.S. would cost just over two hours' of minimum wages there (at $7.25/hr), and a 350 NOK haircut in Norway will also cost roughly the equivalent of two hours’ of labor at the lower end of the wage scale here (at 175 NOK/hr). When we are tourists in a foreign country, we always seem to be converting costs and prices there to our home currency so that we can get a perspective of how expensive something is. But, for us as long-term residents in another country, we have to forget about converting an item’s price from one currency to another – that’d just drive us crazy. We just have to be aware of the general, normal costs for a particular item or service, and watch for bargains and take advantage of them as they show up. It’s been a mild winter so far this season. Before today, there’s been only one snowstorm here – many weeks ago. The snow accumulated, stayed for a couple of days, and then melted and flowed back into the sea. Since then, however, it has rained a lot with temperatures hovering in the +3º to +8º Celcius range (approx. 37º to 46º Fahrenheit). When I woke up today, however, the temperature was - 6º C with some wind and very light snow flurries. “No problem,” I thought. I only planned to do a little shopping at the grocery store, and then I counted on staying snuggly warm with a fire in the woodstove in my living room for the rest of the day. One of the tires on my car has a slow leak. I usually have to fill it up once a week when it gets down to about 18 lbs. pressure. This morning was no different, and I dutifully pumped it up to 35 lbs. at the local gas station when I went to the store. After my return, I started the fire in my stove and settled in for the afternoon. The outside temperature hadn’t changed since I woke up, the wind was blowing, and the light snow was still falling. But I was getting warm. After a few minutes, the postman came, and I went out to get it from the mailbox by the road. As I passed by my car, I noticed that the slow-leaking tire I had been nursing along for the past couple of months had just turned into a quick-leaking tire: it was flat. Nothing like an unexpected emergency to liven up my day. Now, I’ve noticed that Norwegians really know how to deal with the cold. When I see people out walking or exercising – in all kinds of weather – I see that they are well-dressed and well-equipped to deal with the elements. When I saw that I had to change that tire – in this weather – I knew I had to do the same. I came inside, bundled up, and went out to tackle the tire. After about fifteen minutes in the wind, snow flurries, and -5º C temp, the deed was done. I learned a couple of lessons from this experience. One: I need thicker gloves; and two: I could use a ski mask to take off the bite of the wind against my face. The word “interesting” is often described as an overused adjective, and its use is generally discouraged. However, I had a genuinely interesting experience last month that I’d like to share. Through one of the Facebook groups I visit, I came across the name of a website that piqued my interest: www.eatincommon.com. This is a website where people can arrange to either host a dinner or to be a guest at a dinner. A host sets a date and time, plans a menu, and determines how many guests can be accommodated. People who would like to be guests at this meal ask to be included. The host may then choose whether or not to accept the guest. It was my understanding that hosts and guests are generally unknown to each other (both hosts and guests must be pre-registered and cleared through the site in order to participate). These events are described as a means for people to meet and have conversations with others within their communities. A small charge is made to help defray the costs of the meal. During this past May 17 weekend (the Norwegian Constitution Day), I participated as a guest at an ‘eatincommon’ event. I wanted to see some of the May 17 events in Stavanger and I saw that there was a brunch to be hosted there that same day with four seats available for guests. I registered, asked for, and was given one of these seats. The brunch was to begin at 10:00 am and last until 12:00 noon. Upon arriving in Stavanger by train (at about 9:40), I found that a large portion of the center of the city was closed to traffic (due to the planned festivities). Therefore, there were no taxis at their usual place near the train station. With no traffic on the street in front of the station, there was no opportunity to find a taxi there, either, so I began to walk. All I had was an address and a general idea that the location I was looking for was east of where I was. “Good luck with this,” I thought, as I started hoofing it down the street, looking for a functioning taxi stand. In a couple of minutes, I saw where the police were blocking the traffic at the end of the street, but I also noticed the traffic going by just beyond where they were standing. After standing by this crossroad for a few minutes, I hailed a passing taxi. The driver slowed down, made a few non-obscene finger and hand gestures to me, and then drove on (I hadn’t realized that he already had passengers in his cab). One of the policemen standing nearby interpreted the hand gestures for me: “He’s coming back in a few minutes.” Sure enough, the cab returned shortly and picked me up. As we were proceeding to my destination, we came across other streets that were closed. The driver was forced to take side streets, and then side streets off the side streets, in order to get through. Three separate times – on three different small side streets – we were greeted by mini-parades of children, youth, and adults, all dressed up in traditional Norwegian costumes and marching down the narrow roads. I’m fairly certain that these small processions were not on official parade routes, but – instead of everybody just meeting at one main parade site – these participants decided to practice marching in formation and playing their instruments as they proceeded to the city center. My taxi driver had to pull off to the side of the roads as far as he could while we waited for each of these mini-parades to pass. Finally, we finally made it out of this ‘parade zone’ and he took me to my destination. After a bit of trouble finding the correct apartment building, I called up to the apartment and was buzzed in. I was the first guest. The hosts were a couple from Denmark, and spoke excellent English. Soon, the other two couples arrived; the first was a man from England and a woman from Germany, and the second was a man from Norway and a woman from Ecuador (quite the mixture). I had previously been advised that I would be the only single person there. I had still accepted, however, with the proviso that I would not be relegated to the ‘children’s table’ (I was assured that I would not be). I was also told that none of the couples previously knew each other, and that worked well for me – after all, I was there to meet new people, and the others were doing the same. The food was great and the conversation flowed. English was the common mode of communication, so that turned out very well for me. The hosts knew how to include everyone in the conversation and to make all feel welcome. In fact, things were going so well that I soon noticed the time was well after 1:00 pm (over an hour past the originally posted ending time), and everyone was still engaged in conversations with each other. I was the first to leave (I don’t know how much longer the others ended up staying). I wanted to spend some time in the city center before I caught the train to return home. Overall, this was a very good experience. Both at my work and where I live, I meet and associate with many native Norwegians (which is great). This experience gave me the opportunity of meeting and interacting with other expatriates. Eatincommon dinners/events have been held in some of the larger cities in Norway and Denmark (and I believe in Sweden, as well). In fact, the host of the brunch I attended is the person who started – and runs – this program. Would I do this again? Yes, I would. Eatincommon is an interesting way to meet interesting people. I enjoy most Norwegian foods, I really do. When I lived in the U.S., I sought out specialty stores that would carry at least a limited stock of Norwegian foods (such as geitost, fiskeboller, Solo, and lefse). But I have also acquired a taste for many foods that I grew up with in the U.S. Since moving here to Norway, I occasionally have cravings for some American foods that I’ve become accustomed to. Take soft drinks, for example. Some items are available virtually anywhere here (such as Coke and Pepsi), but many other brands are not available at all. A few items seem to appear for a time and then disappear. I do understand that I live in a sparsely-populated rural area with somewhat limited shopping facilities, so I cannot expect to have many choices of foreign-based foods. After living here for over two years, however, I was surprised one day to see – for the first time – a few bottles of Mountain Dew offered in the cooler of the single gas station/convenience store in the town near where I live. YES! I thought, and I purchased two bottles. The next time I filled my car with gas, there were two bottles of Mountain Dew left in the cooler. I bought both of them. After that, I kept checking the cooler, but, unfortunately, there were no more bottles of Mountain Dew. This continued for several weeks. I was puzzled. Finally, I asked the clerk if they were going to continue to order Mountain Dew (adding that I like it very much). She said that she would pass on the request to the store owners. More weeks went by, and still no more of this product showed up. A reminder to the clerk still brought no results. As time went by, I had to accept the fact that I was probably not going to see any more Mountain Dew. I was pleasantly surprised one day when I was at one of the airports in Norway, meeting my wife after her USA trip. I found a single Mountain Dew in the airport snack store. I quickly grabbed it and paid the cashier (even though it was almost double the price that I had paid the convenience store for the same item). If there had been more bottles there, I would have taken them all! After several more weeks I unexpectedly found that another convenience store in a nearby city was carrying my sought-after product; there was a whole line of Mountain Dew bottles in their cooler! I immediately bought two of them. The following week, I returned and purchased another two. It felt great that I finally had what seemed to be a secure, steady source for my sugar-laden, tooth-decaying craving. But alas, the following week, there were no more bottles of Mountain Dew in the cooler. In fact, the rows that had been previously assigned to the Mountain Dew bottles were now filled with more Pepsi bottles. Alas, it looked like there would be no more Mountain Dew from this store, either. I continue to stop by this store once every other week or so, but there has been no return of this product for the past two months. I’m afraid this source has dried up too. This same thing has also occurred with another product. One of the cold cereals that I ate before moving here was shredded wheat. I noticed that the stores here didn't have regular shredded wheat, but they did have fruit-filled mini-shredded wheat. That was close enough for me! I started buying and using this product after I moved here. Then - after about 18 months or so - my local grocery store didn't carry this product anymore. I then looked for this item (or even something close to it) from other grocery store chains. No luck. I still cannot find this item anywhere. I’ve had much the same experience with some other products, as well. I found packages of beef jerky offered in one store only one time. After that, it has never returned. I have also noticed that regular flavored crinkle potato chips seem to be available only at Christmas time at my local grocery store; the rest of the year they’re missing. I realize that this isn't Earth-shattering news (to anyone else but me), but I believe I have found a steady and apparently reliable source for Mountain Dew! After repeatedly checking back with the different places I had seen it before, Mountain Dew bottles miraculously returned to the cooler of the convenience store where I had purchased them previously. I immediately bought all four of them. The following week, they were re-stocked! I bought two more, and later, I bought more. So now - with a large supply of Mountain Dew on the shelf in my home pantry - I see that this particular store continues to stock this valauble product. I say "valuable" because the price for this item is still almost twice the price of other soft drinks of the same size. Later, I noticed a possible reason for this price differential: The price tag on the Mountain Dew column in the cooler identified it as an "Energy Drink" (a term missing from the other soft drink items). Perhaps by being classified as an energy drink, Mountain Dew commands a higher price than the others. In any event, I hope that I have now found a steady source for at least this item (one remnant of my American acculturization...). Sometimes, one can never know what to expect when living here. Take the weather, for example. Sometimes (well, many times), it will rain for days at a time, while at other times (which do not occur often enough), there may be several days in a row when the sun will shine in a clear sky. One day, I had an appointment to go to Stavanger for an appointment with a medical specialist. The appointment was for 12:30 pm. I don’t like to drive into Stavanger for several reasons: 1) It’s a long ways away (about two hours by car); 2) I don’t know my way around the streets of Stavanger, so I tend to get lost easily; and 3) If I do find the place I want to go to, it’s often very difficult to find a place to park. So, when I go to Stavanger, I take the train. It’s quite dependable – always leaving on-time and arriving on-time – usually within a minute of the scheduled time. Driving my car to the train station takes about 45 minutes. Before my trip, I looked up the train schedule on-line (they don’t have printed schedules anymore). There was a train departing at 10:20 am, and arriving inStavangerat 11:30 am. If I took that train, I would get into the city one hour before my appointment. Given that it takes about 10 minutes to get from the train station to the doctor’s office, that would give me plenty of time. There was a notice on the schedule that indicated that maintenance/repair work was being done on the railroad tracks, and at least part of the trip would have to be completed by bus (his seems to happen for a few weeks almost every summer, and is a complication one must get used to). The notice stated that this situation will cause delays – ranging from 30 to 60 minutes – from the scheduled arrival times. Hmmm. If the 10:20 to 11:30 train comes in 30 minutes late, I could work with that because I could still get to my appointment on time. But if the delay was longer – up to 60 minutes late – then I would likely miss my appointment. With such uncertainty, I would be quite stressed. So, to err on the side of caution, I decided to take an earlier train. The next earlier train left at 9:20 am and was scheduled to arrive at 10:30 am. When I added the expected 30- to 60-minute delay, that meant I would arrive inStavanger anytime between 11:00 am and 11:30. This would be rather early, but at least I would be sure I wouldn’t miss my appointment. I decided to take a book to read while I waited there. I arrived at the train station and bought my ticket. Then, I saw the busses – there were two of them. I’m told that one bus stops at all the local stations on the way to Stavanger (about 12 in all), and the other drove almost all the way to Stavanger, and made only four stops before arriving at my destination (thus taking less time than the first bus). I took the second bus. Precisely at 9:20, the bus left the station and we were on our way. Did I say, “we”? As the bus pulled away, I look around and saw that I was the only passenger on that bus. Since I was going to the end of the line, the driver didn’t make any stops before we arrived in Stavanger. Rather than being delayed due to using the busses, we pulled into the station in Stavangerat 10:25 – five minutes earlier than the train would have arrived, had it been in service. Despite my careful planning, I ended up having to wait two hours for my appointment. At least I wasn’t late. So – just like the weather – sometimes you can never be sure what to expect. Copyright 2013 Norway Living. All rights reserved.